Underground Racing are not new speed records. The tuning shop has consistently produced record-breaking supercars and this year, they’ve done it again. A UGR Lamborghini Huracan packing twin-turbocharged engine recently set a new half mile speed record at the ShiftSector Pikes Peak Airstrip Attack in Colorado Springs, Colorado. 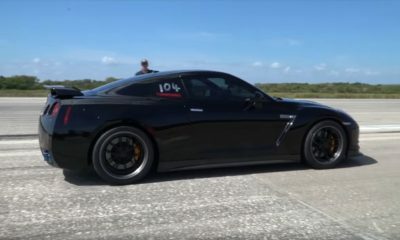 The 3500 hp beast clocked 259.67 mph. Over the years, the bar has been gradually raised and it wouldn’t take long until someone breaks into 260s. In 2016, a 2000 hp UGR Lamborghini had clocked 238.6 mph to claim the record. A year later, another twin-turbo Huracan by UGR registered a top speed of 250.27 mph over the half mile.